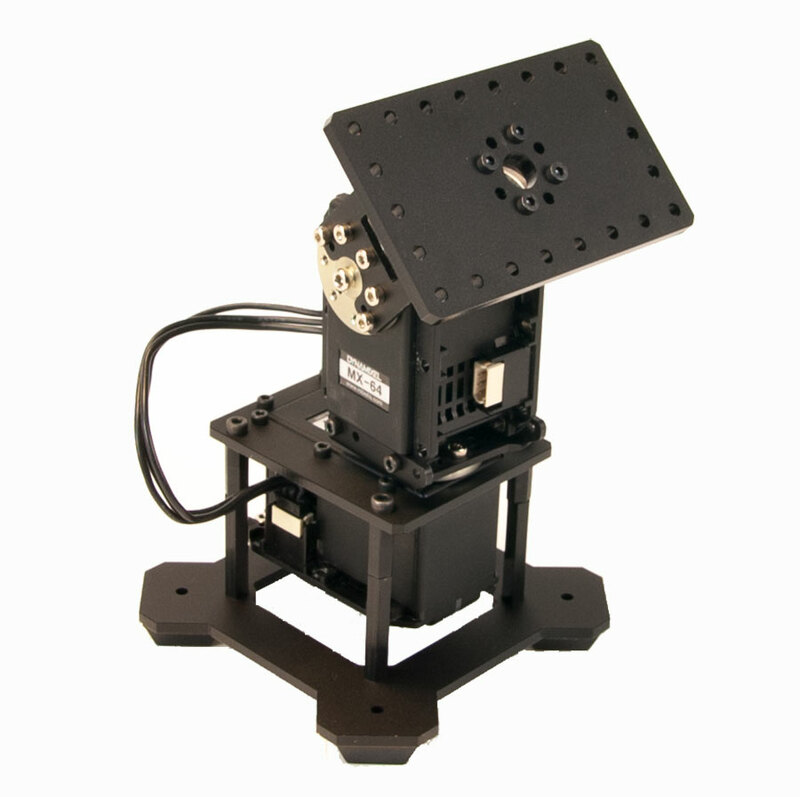 The WidowX Pan Tilt kit is a mid level pan tilt kit using the wildly popular MX-64 DYNAMIXEL smart servos. With a resolution of 0.088°, rotation range of 360°, stall torque of 74 kg·cm, and speed of 78rpm you get tremendous resolution with very strong torque. 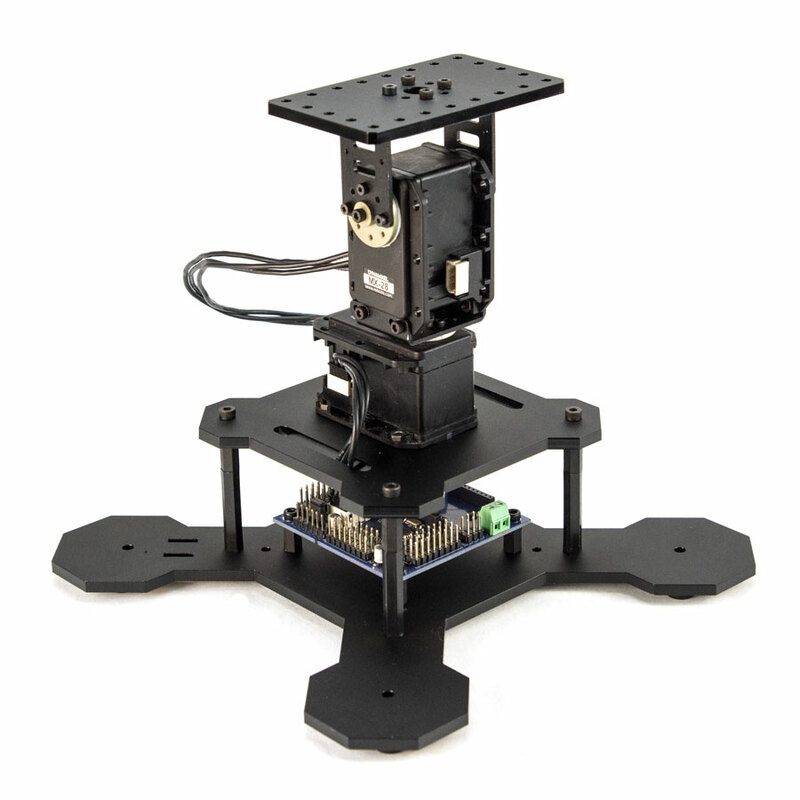 This Pan Tilt Kit provides the raw servos, brackets, and cables needed to build a Pan Tilt turret. 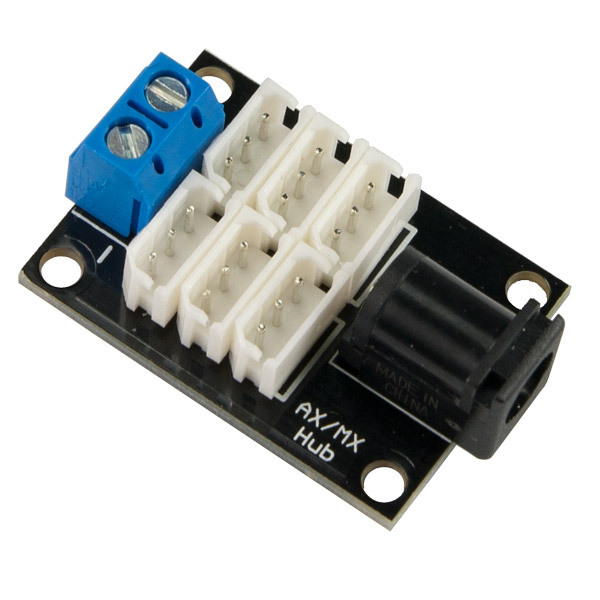 (If you need a kit with a controller solution check out the ScorionX RoboTurret.) 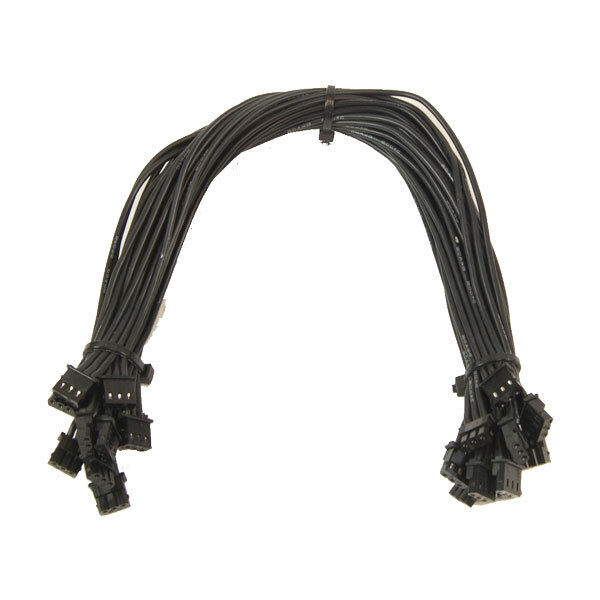 The standoffs are on a 5cm x 5cm pattern which can be mounted directly to your project, we recommend a larger base when mounting heavier loads on the Pan Tilt. 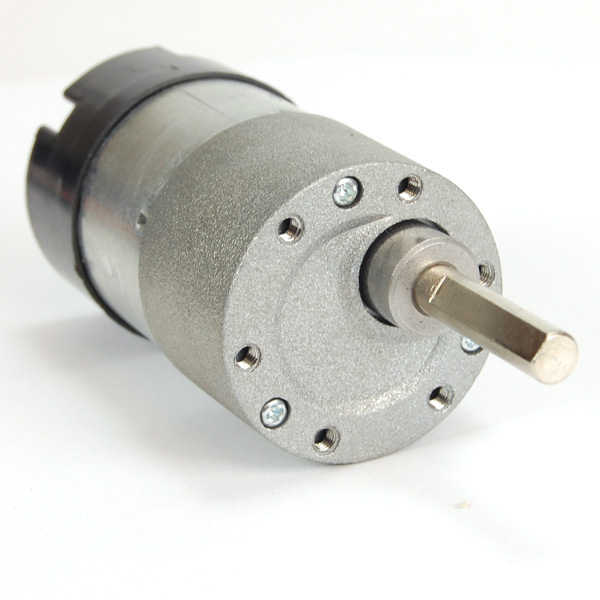 The bottom servo can also be mounted to projects using many of the various DYMANIXEL brackets available. ScorpionX Robot Turret Overview - This is the overview for the ScorpionX Robot Turret. 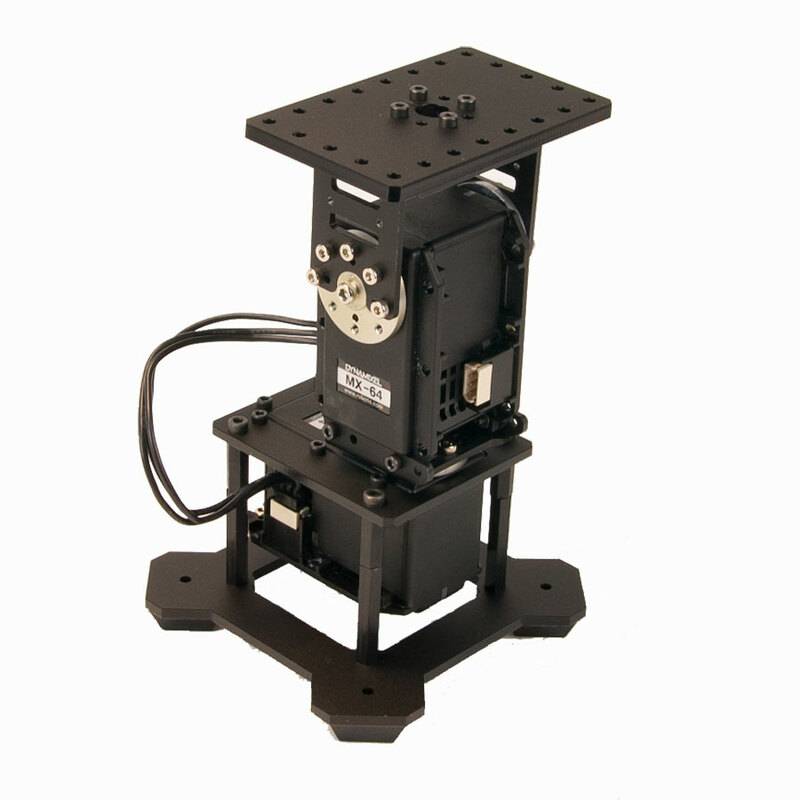 It uses the same servos and similar assembly as the Pan Tilt Kit, and can be a good reference guide.